This is by no means a complete round-up of run-worthy sunglasses, just notes on some interesting glasses that have come across my desk in the past few months. All the glasses offer full coverage, changeable lenses and are truly comfortable for running. Fair warning, these come at a price, so test them out at the store and start dropping gift hints to your family and friends! 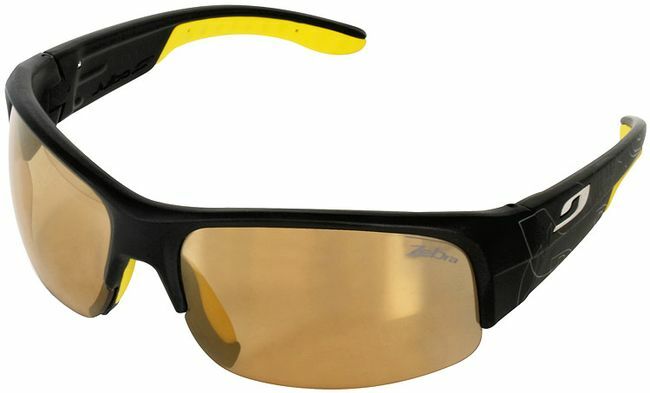 None of them make you run faster or farther, but they do keep your precious peepers safe for another run. I also tend to keep glasses forever, unless I drop them off a boat or step on them… although wearing them forever is another topic. I realize that solely keeping glasses forever is not a logical reason for spending much more on glasses than I spend on shoes, but I do keep them for a long time—really I do. I have an ancient pair of Zeal Optics (I couldn’t even find them on the website to tell you what they are—Zeal makes lots of great glasses though.) that have served me well, and I actually still wear them. However, they look tired, scratched and old compared to the shiny new models sitting before me. My practical side has not disappeared, so before you get all fired up and say how many tanks of gas you could buy for the price of these glasses, check out Ryders Eyewear. 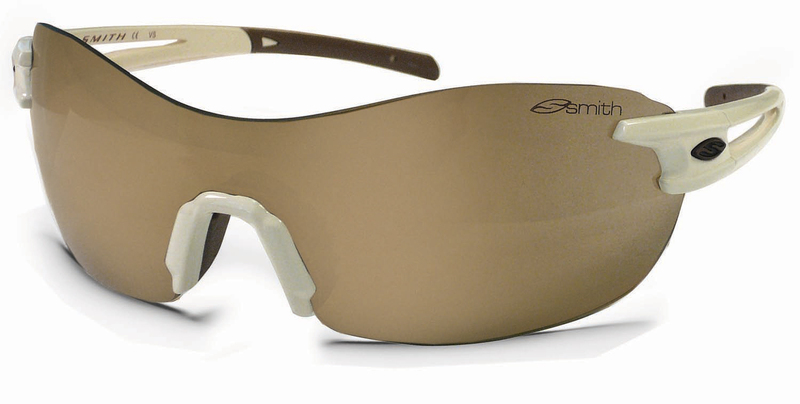 Their Adrenaline Collection features good quality performance eyewear at wicked sweet prices. These whisper light glasses provide full coverage with an unobstructed field of view due to their lack of a pesky frame. They have a lens, nose piece and temple pieces-that’s it. Plus the nose and temple pieces pop off for quick lens changes. I have several pairs of glasses with interchangeable lenses, but I’m a bit of a klutz and always afraid I’ll break them, so the lenses remain the same-unless my husband takes pity on my ineptitude. But, even I can change the lens in the PivLock V90’s! A friend that works for Smith says he pops the temple pieces on and off a pair of V90’s whenever he’s on the phone to see if they break-they haven’t yet! Plus if they ever do, Smith has a lifetime warranty. They fit a narrow to medium face well without swallowing you, and they really don’t move when you run! Put on these big, beefy (yet surprisingly light) frames and you’re ready for the Teva Mountain Games, or at least look like you are! The large lenses area offers substantial protection, the nose and ear pieces provide good gripping and the curved temples truly help to hold the glasses in place. And you know what—I can change these lenses too! Miracles will never cease! They are bit a more bulky than the Smiths or Rudy Projects and seem well suited for winter sports. These are some sweet glasses, but at a substantial investment. They feature adjustable nose pieces, temple tips, and removable side shields to protect from snow or water glare and debris. They also feature changeable lenses, but, at this price, I’m not going to try them! My pair has photochromic clear lenses, so they have plenty of range for my needs. I tested them on a partly cloudy day and was impressed with how quickly the lenses adjusted. Add to that the fact that they did not budge, even when I leaned over and shook my head, and you truly forget your wearing glasses. Plus, Rudy Project has smokin’ gear and glasses deals going on until the end of the year—you should really check it out for presents for you and yours!